Often i’ve wondered if there was a better way to keep track of serial numbers for the software i’ve purchased. This usually involves keeping a text file up to date with your serials, but an upcoming trend is for software vendors to distribute license files which makes the traditional method of tracking licenses difficult. 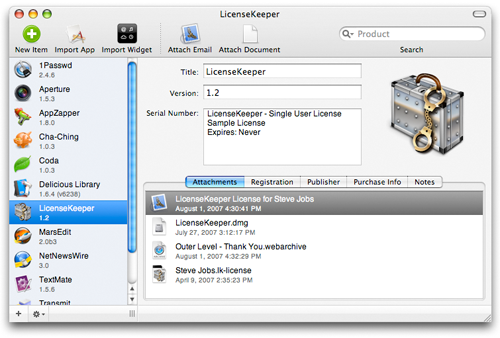 LicenseKeeper is set to change all that by becoming the central repository of all the licenses you own.